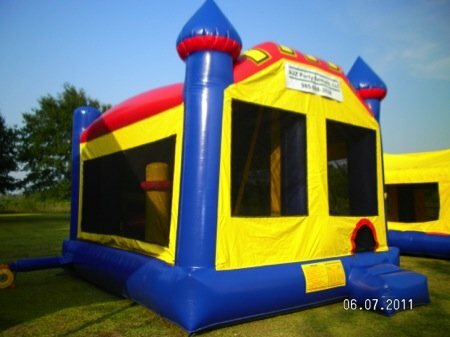 If you have a larger group or a really energetic smaller group, the huge 5 in 1 combo w/dry slide is a perfect choice. It can keep everyone busy! It includes a jumper, climber, slide, obstacles, & a basketball hoop. Call us to rent this combo for $175.00 a day.